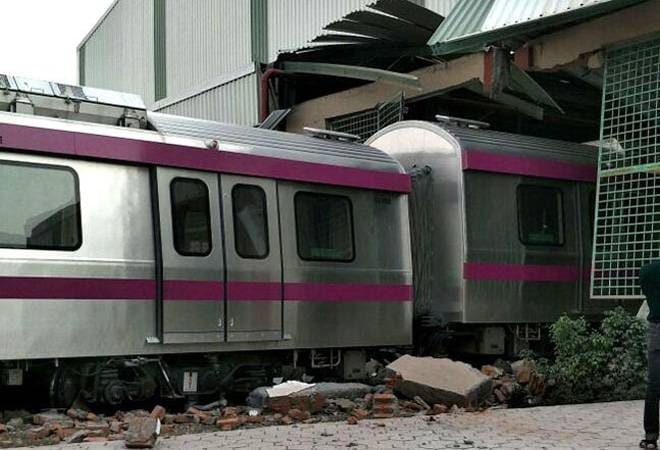 Driverless train of Delhi Metro’s Magenta line crashed few days before inauguration. Driverless train of Delhi Metro’s Magenta line crashed into a wall of Kalindi Kunj metro station. The Kalkaji-Botanical Garden metro line is set to be inaugurated by PM Modi on December 25. According to a report in India Today, the incident happened within the gated boundary of the station. An inquiry has been ordered into the incident. A Delhi Metro official confirmed the incident. The incident took place between 3 pm and 4 pm today. There were no casualties, the official mentioned. The Delhi Metro staff is looking into what led to this incident.